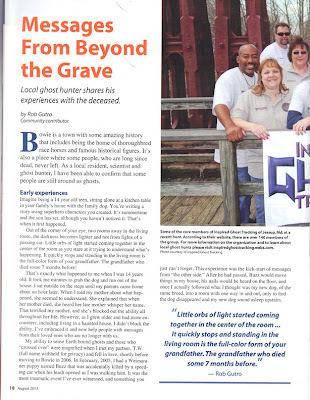 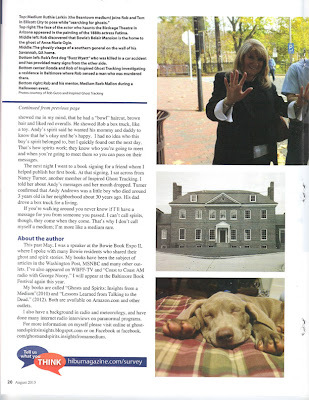 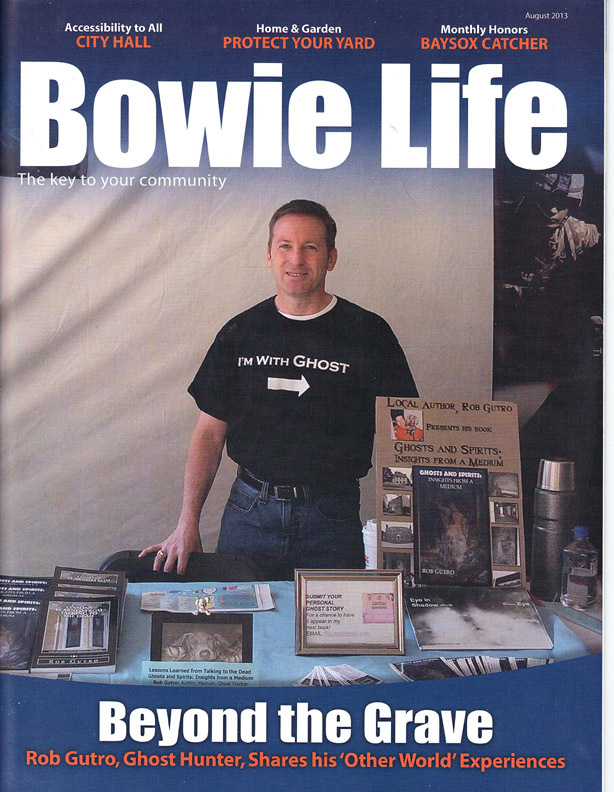 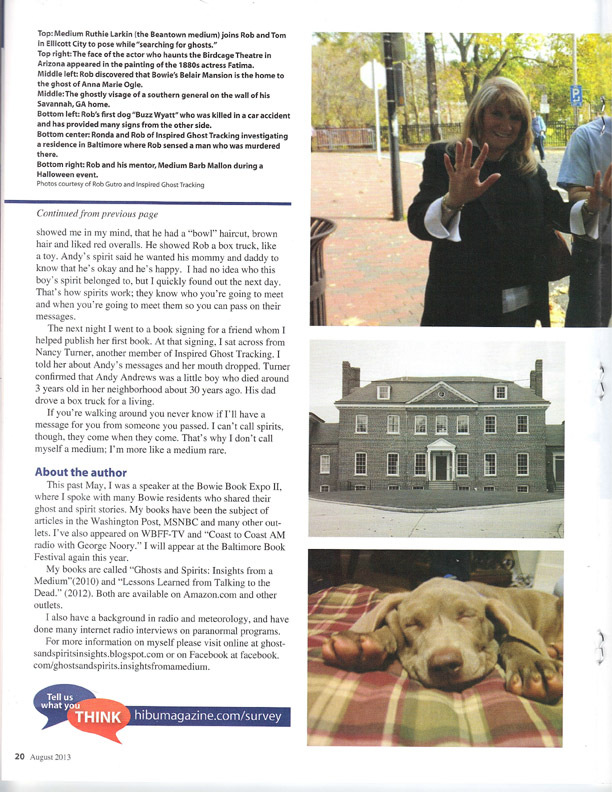 Back in May I was contacted by the publisher of a new magazine called "Bowie Life Magazine" to write an article about my experiences with ghost hunting and the paranormal. 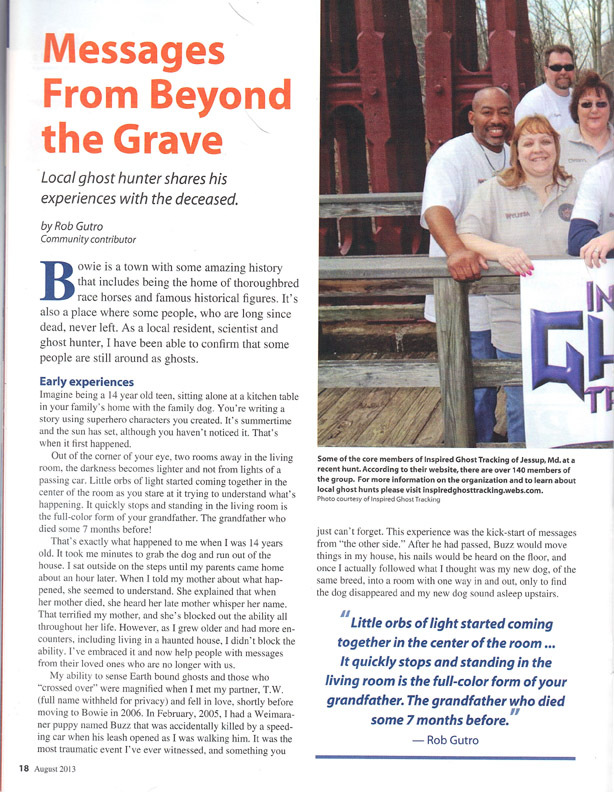 The debut issue came out this week- and features the article and includes lots of pictures. 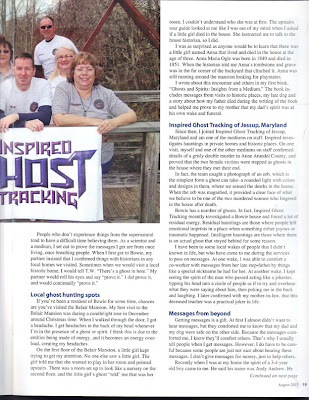 It includes the Inspired Ghost Tracking Group and mediums Barb Mallon (www.barbmallon.com) and Ruthie Larkin (beantownmedium.com). - I must say that I was shocked that they put me on the cover, and used all the photos...but I'm pleased with it. 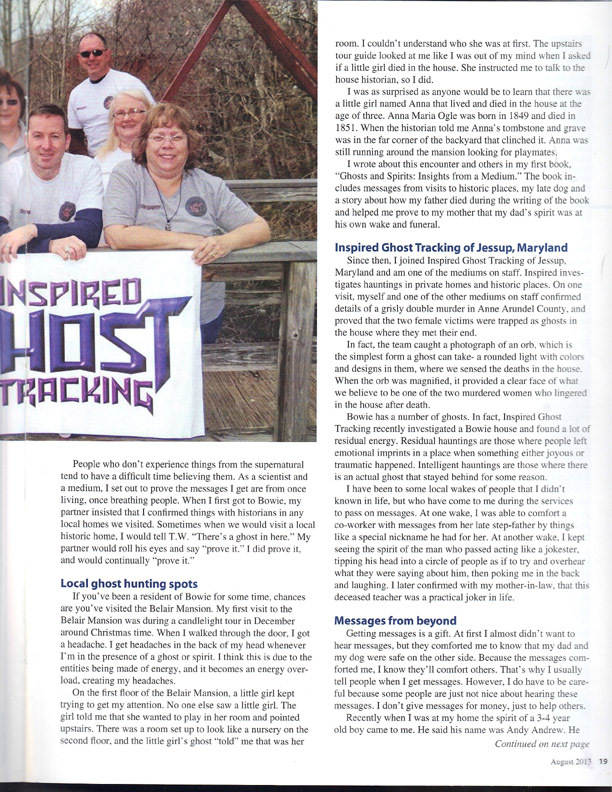 In fact, I already heard from a college student that is interested in Inspired Ghost Tracking and I emailed him back. 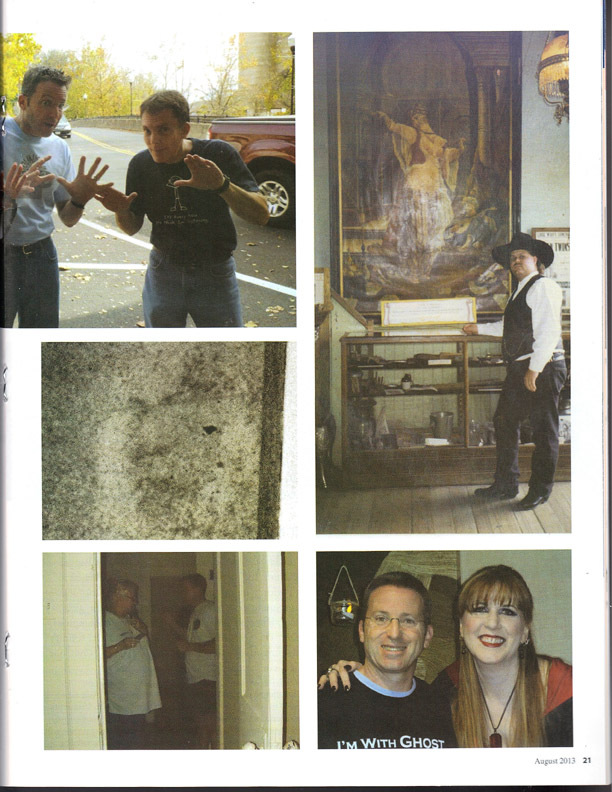 Here are the pages (starting with the cover) if you'd like to read it.